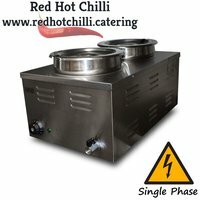 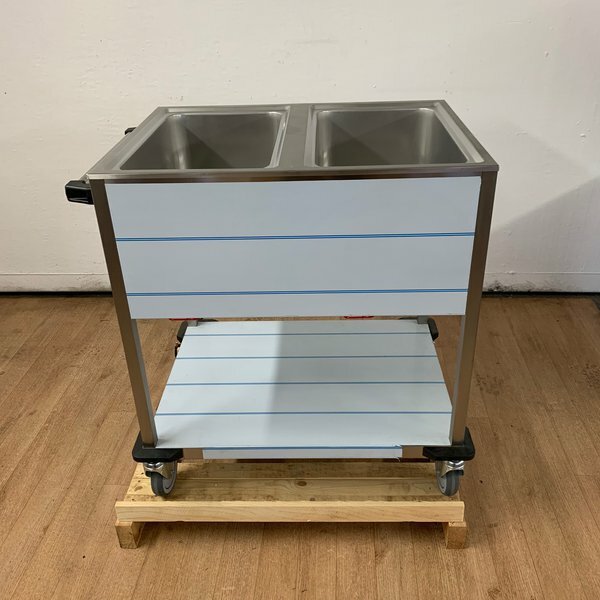 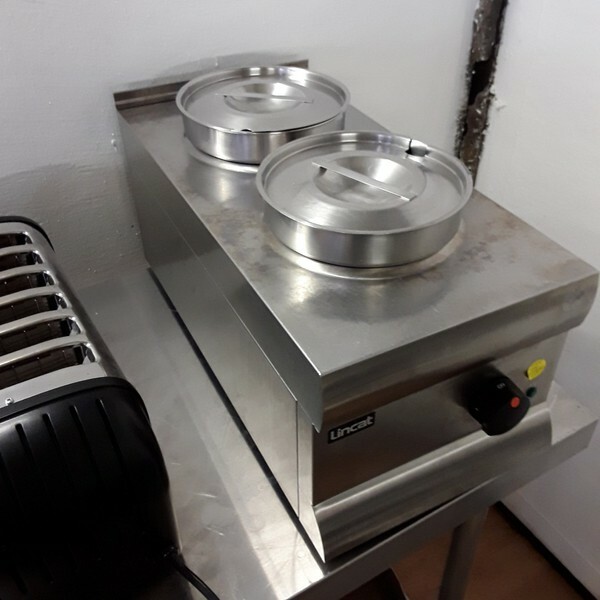 Perfect for keeping sauces, gravies, beans and other hot food items at the perfect serving temperature for longer periods of time this two pot wet heat bain marie is the perfect addition to your business. It has an easy to use temperature control for effortless operation whilst the easy drain tap makes it easy to clean and maintain. 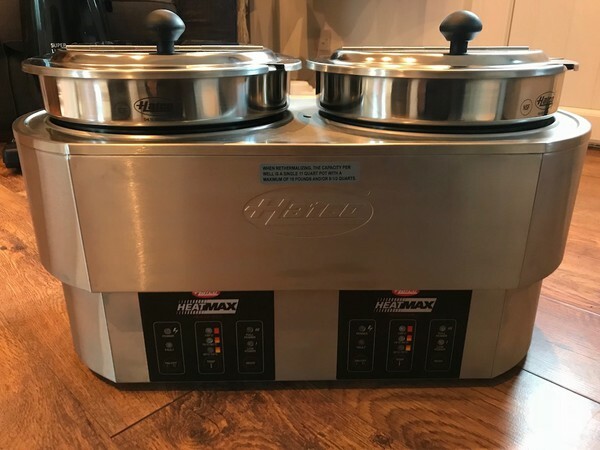 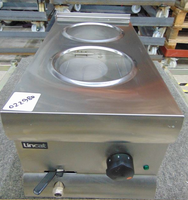 No eatery is complete without this compact two pot Bain Marie. The Round Heated Well from Hatco is a multi-purpose, insulated, dry well that offers the flexibility of being a foodwarmer, soup kettle, Bain-Marie heater, steamer and pasta cooker all in one. 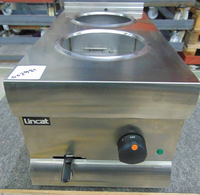 Heat is distributed evenly throughout the unit to maintain desired temperatures. 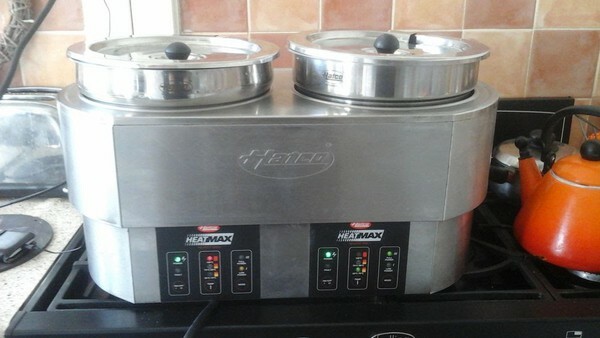 Has 3 temperature setpoints of low, medium and high for warming, steaming and boiling. Includes a low-power mode for increased economy. New RM Gastro BMPK-2120 Double Wet Bain Marie Trolley. 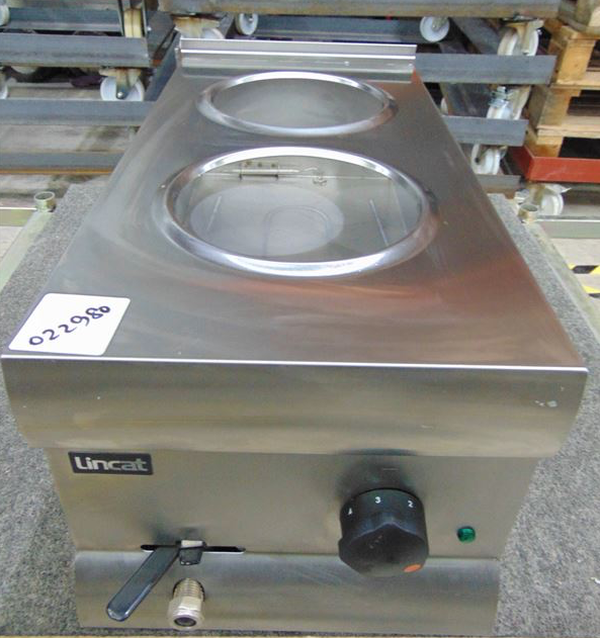 Used Lincat BS3 Stainless Steel Table Top Double 2 Dry Bain Marie. 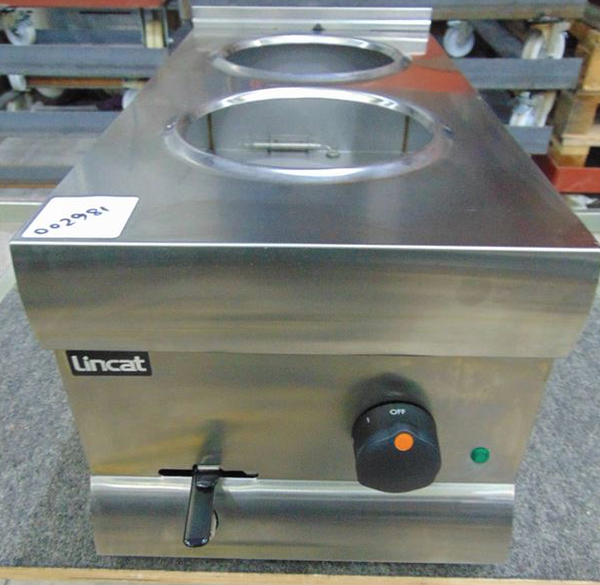 From leading brand Lincat, the Silverlink 600 dry heat electric bain marie BS3 is a versatile and reliable unit designed with the professional caterer in mind. 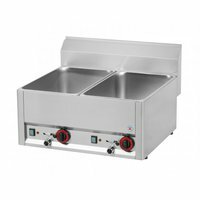 With two 4.5ltr stainless steel pots, this bain marie can hold up to 9ltrs of sauces, gravy, chilli, beans, or any other pre-cooked foods. 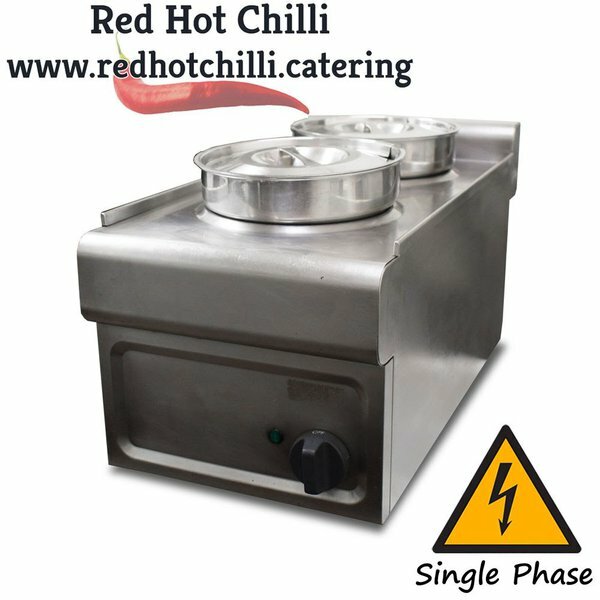 Ideal for restaurants, takeaways, mobile caterers or other establishments with high output. 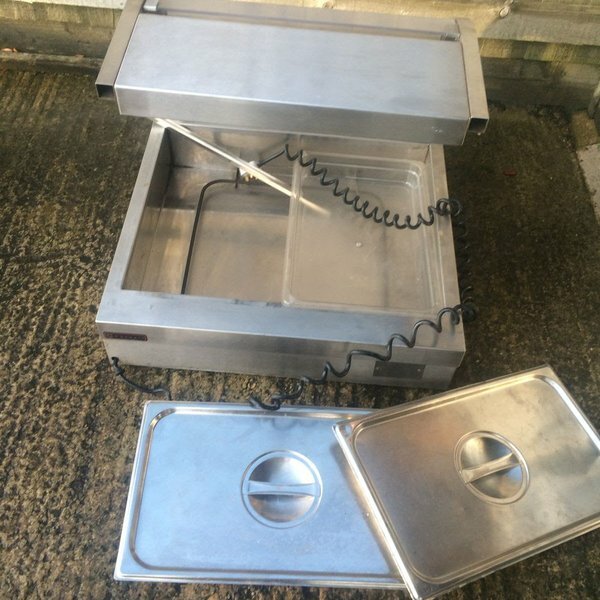 Corsair heated display unit with two tray bain marie, twin heat lamps at the top and element at the bottom, both trays, lids and two spare bulbs included, black curly electric cable. 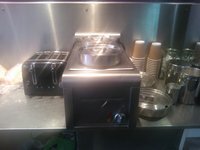 Not many of these around, full working order and will be tested before collection.